This GE 18.1 cu. 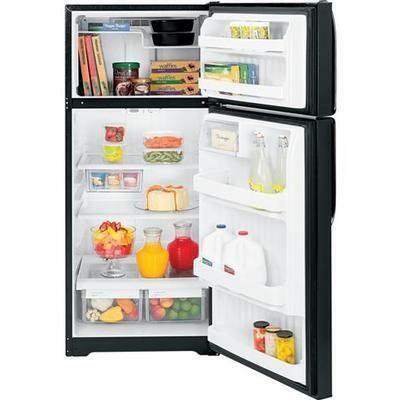 ft. top-freezer refrigerator features adjustable spill-resistant glass shelves which are designed to contain spills for easy cleaning and clear drawers that quickly and easily lets you find your favorite items. 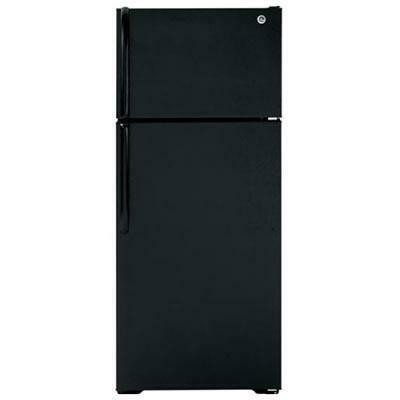 Refrigerator 13.9 cu. ft. / 0.39 cu. m.
Freezer 4.2 cu. ft. / 0.12 cu. m.